At a cost of £1.38 million both cemeteries are due to be restored. Plans have been passed and details are now being finalised so that the works can be put out to tender towards the end of 2017 with a view to getting on site in Spring 2018. The works should take around 12 months and so should be completed in Spring 2019. Key Hill Cemetery, created by Nonconformists in 1836, and nearby Warstone Lane Cemetery, laid out by Anglicans in 1848 – covering some 7 hectares between them the two burial grounds made use of spectacular former quarry sites to create a dramatic series of catacombs in the redundant quarried faces. 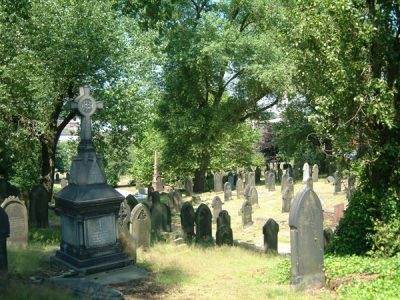 The cemeteries have long since ceased to be used for burials but provide a haven for wildlife in the midst of the urban area. Grade II* Key Hill has many mature London plane trees and Grade II listed Warstone Lane has black poplars. These cemeteries form a vital open space in the Jewellery Quarter as they act as the ‘lungs’ of what is becoming a densely-packed residential area as well as a manufacturing centre. Central to the scheme will be a new Garden of Memory and Reflection on the spot where the St Michael and All Angels chapel stood before it was demolished in 1958 after being damaged by bombs in WW2.The project will include the restoration or replacement of railings and stone pillars, with new paths, gates and seating. The catacombs will also be made safe and restored. 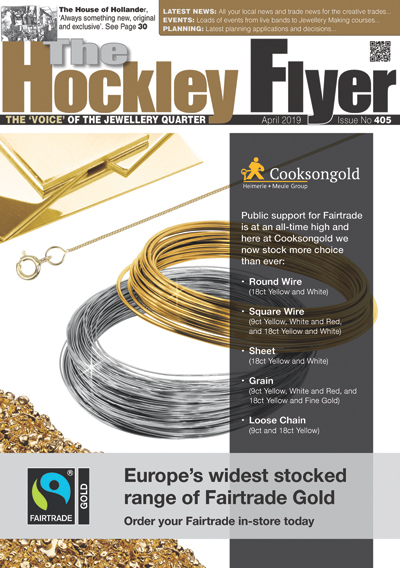 The ‘Friends’ – some of whom have been researching and working in the Cemeteries since 2004 – are about to launch a brand-new website and Mark Haddleton of Jewellery Quarter Heritage and The Hockley Flyer will be joining them as the new IT Executive. The HLF grant is only to cover the restoration work and when the restoration work is completed the community through the ‘Friends’, will be encouraged to get involved in researching the history of the cemeteries and helping to maintain them in the future. One idea is to carry on with the idea of ‘Adopt a Grave’ plus making some areas where there are no graves into display/memorial gardens and even perhaps a small picnic area. What the ‘Friends’ need is more members (cost Single £10 per annum, Joint £15, Societies £20, Corporate £tba). Also Volunteers to help keep the cemeteries neat and tidy etc. There will be lots of further information about this in forthcoming Hockley Flyers. If you would like be a member please contact Mrs J Fielding via email: friends-kh-wl.cem@outlook.com.